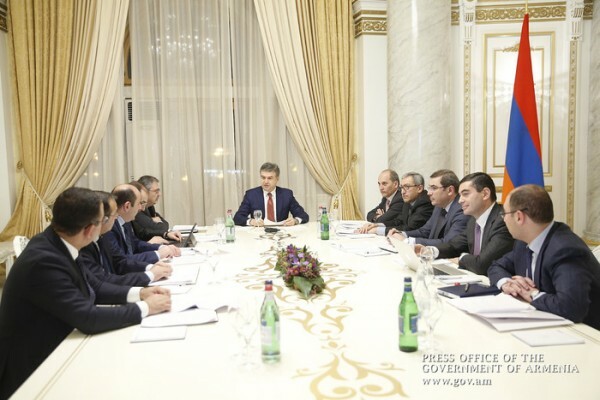 Chaired by Prime Minister Karen Karapetyan and attended, by the heads of the agencies concerned a consultation was held in the Office of Government to discuss the Tax Code-established procedure for payment of royalties by mining companies. Responding to the concerns expressed by business entities and based on the current market conditions, the Government decided to comply with the proposals voiced during the meeting and envisage seamless changes to the Tax Code, which is to be effective from January 1, 2018. The meeting decided to submit appropriate legislative proposals to the National Assembly. As a result, it is expected that the basis for calculating royalties applicable from 2018 will be close to the size of the sales proceeds.